3,295 gross tons, 2,130 net. Lbd: 340' x 43' x 25'. Steel steamship built by William Doxford & Sons Ltd., Sunderland as Darius for Archibald Currie & Co, Melbourne. Held a triple expansion engine, output unknown. 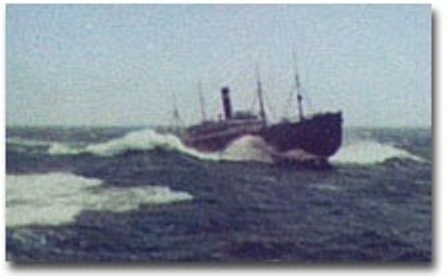 Passenger-cargo vessel whose sailing details remain unknown. 1906-37 4,606 gross tons. Lb: 122 x 15.9 metres. on1120730 Passenger/cargo steamship built by Palmers, Jarrow for A Currie & Co, Melbourne. Single screw, triple expansion engine. 11.5 knots. 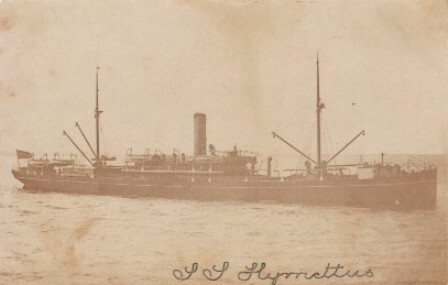 1913 sold to British India S N Co. Requisitioned by the Commonwealth Government and became Troop Transport A1 HMAT Hymettus during first world war. War record: Under command of Major A A Holdsworth, embarked 5 Officers, 106 troops of the 1st AIF at Sydney, Melbourne, Adelaide. Simultaneously carried over 686 horses of the 1st Australian Division from Australia to Egypt. Assembled with 27 other troop transport vessels, all numbered A1 - A28 at King George's Sound, Western Australia on 1st November 1914 for escorted convoy to the Great War arena. Further AIF Units embarked at Melbourne, Victoria on 2 February 1915 and embarked at Sydney, New South Wales, 8 February 1915. 34 Other ranks embarked at Sydney. 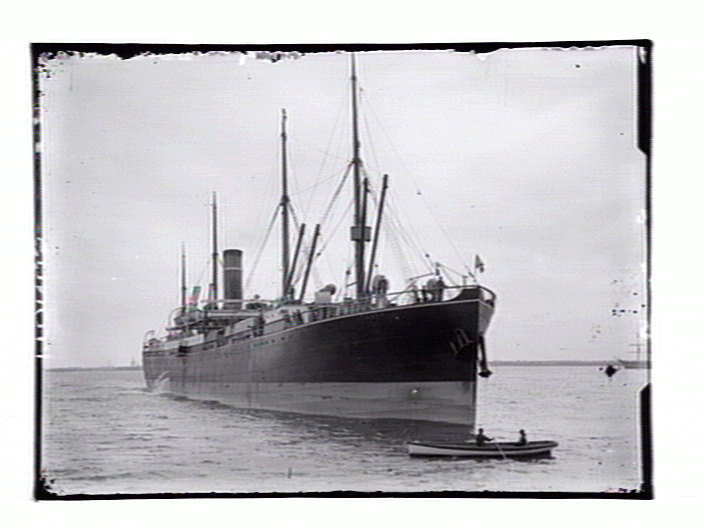 Unit embarked at Melbourne, Victoria on 27 January 1916. 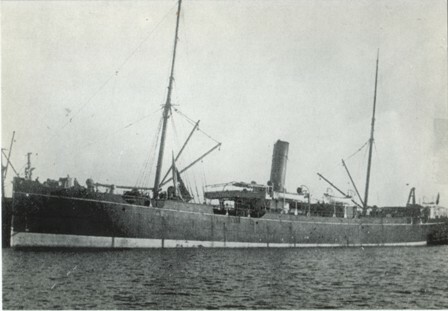 Unit embarked from Brisbane, Queensland on 3 February 1917. 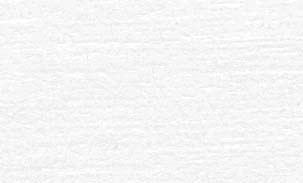 1898-1916 5,340 gross tons. 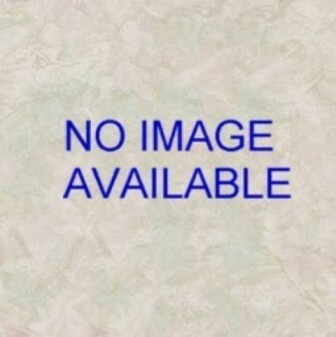 Lb: 136.9 x 16.5 metres. on1109977 Cable ship, steam powered as built by Vickers Maxim, Barrow as the Anglia for Telegraph Construction & Maintenance Co Ltd, London. Twin screw, triple expansion engine making 11.5 knots. 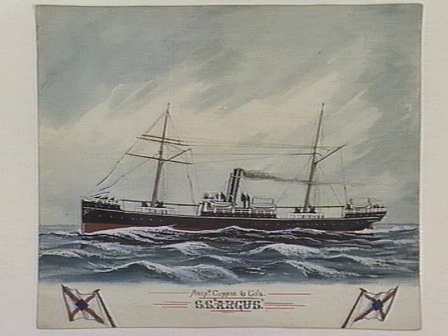 1907 purchased from Grangemouth & Greenock Dockyard Co. after stranding repairs, converted into a 'cargo' ship and renamed Itonus. 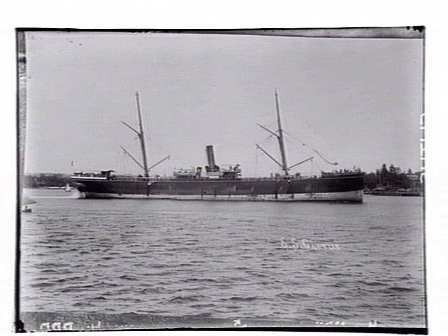 1913 sold to British India S N Co. Requisitioned by the Commonwealth Government and became Troop Transport A50 HMAT Itonus during first world war.